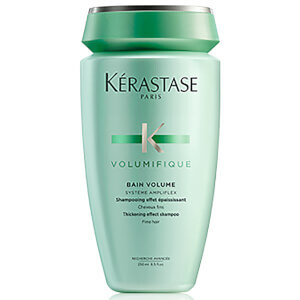 Fine hair can look full and shiny with Kerastase Resistance Volumifique Gelee. This innovative formula is translucent and lightweight but still gives hair the nourishment it needs. Treatment also transforms each strand into the look and feel of luxurious thickness. Also works with frizzy or normal hair that lacks body and lustre to give hair an improved texture and volume without weighing it down. Directions for use: After washing hair, add a small amount to damp hair. Massage thoroughly and let sit for about 5 minutes before rinsing with warm water. Style as usual. 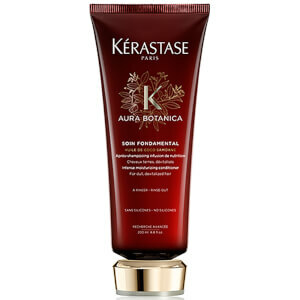 Frequent use of this deep conditioning treatment will guarantee hair manageability and healthy texture.